The information below aims to help our visitors get to and from the venue as smoothly as possible. 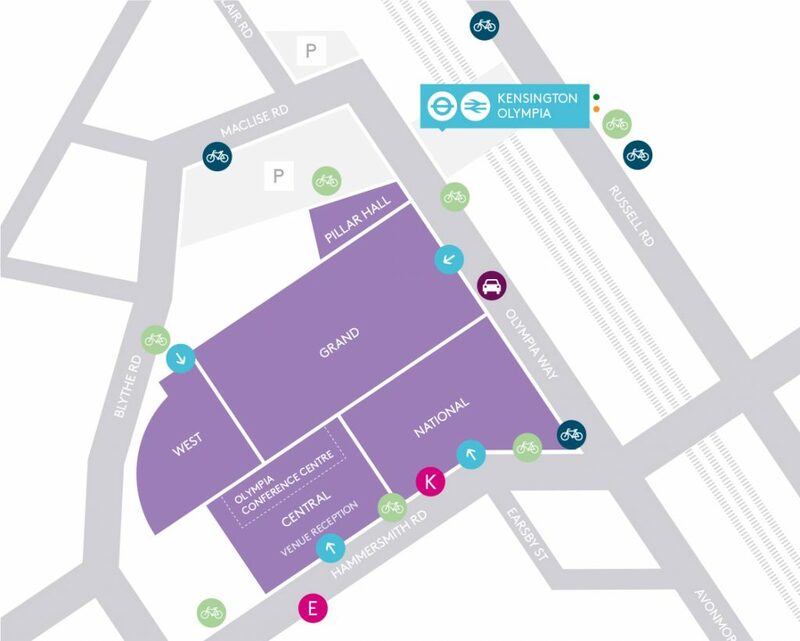 Kensington (Olympia) station is adjacent to the venue and is served by London Overground (one stop from West Brompton or Shepherd’s Bush), Southern Trains and London Underground, District Line (weekend days and for some weekday events). Direct access is available to Gatwick Airport, Clapham Junction, Watford Junction, Milton Keynes and Northampton, Rugby and Willesden Junction as well as the tube network. Taxis pick up and drop off on Blythe Road outside the entrance to Olympia West Level 1. Taxis may also pick up and set down on Hammersmith Road.